Northern Alberta has always been on our list of places to explore. 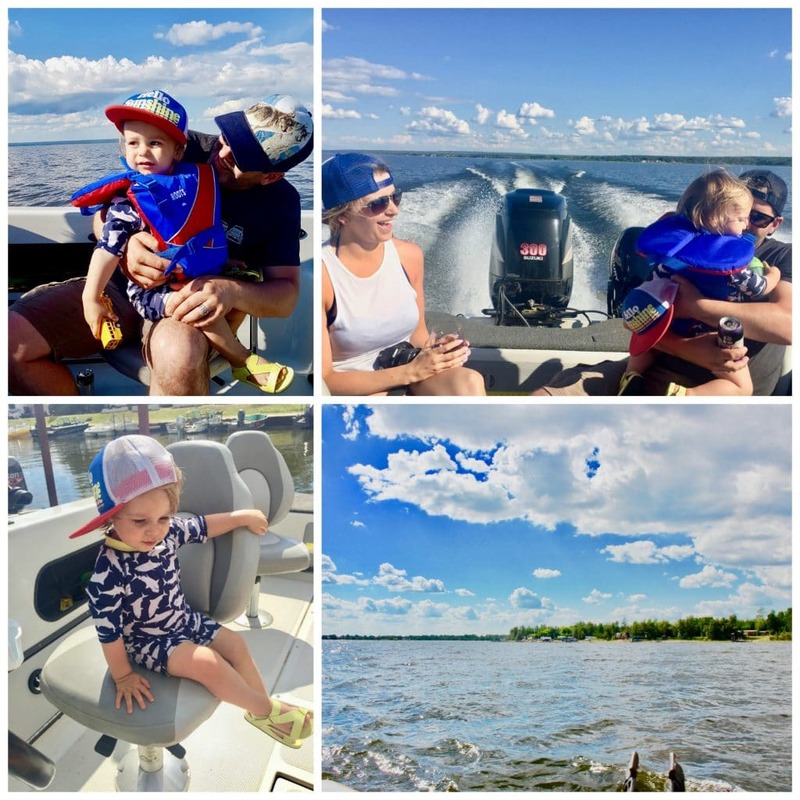 We’d heard great things about its beauty, and the amazing fishing, so when the crew at Big Lakes County invited us up for the weekend we couldn’t resist. 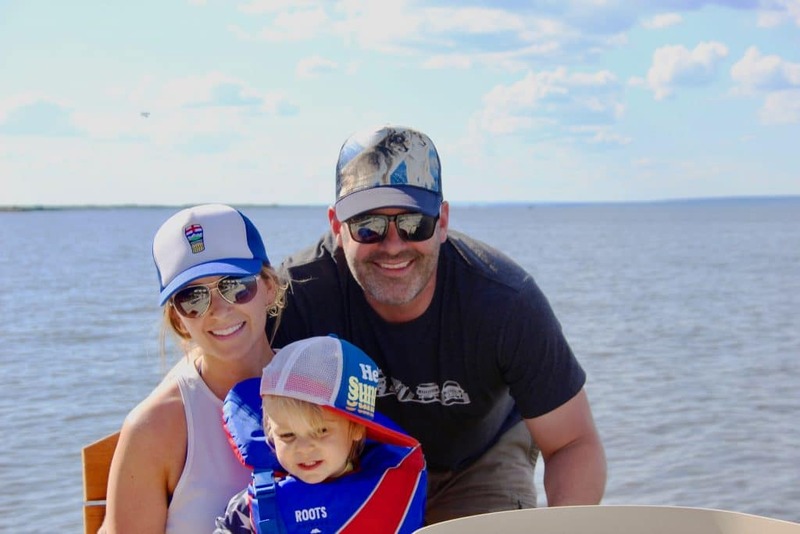 We had big plans to visit the Kinosayo Musuem, take in the North Country Fair, check out some mud bog racing, and stop into High Prairie to shop the boutiques. We did none of that. 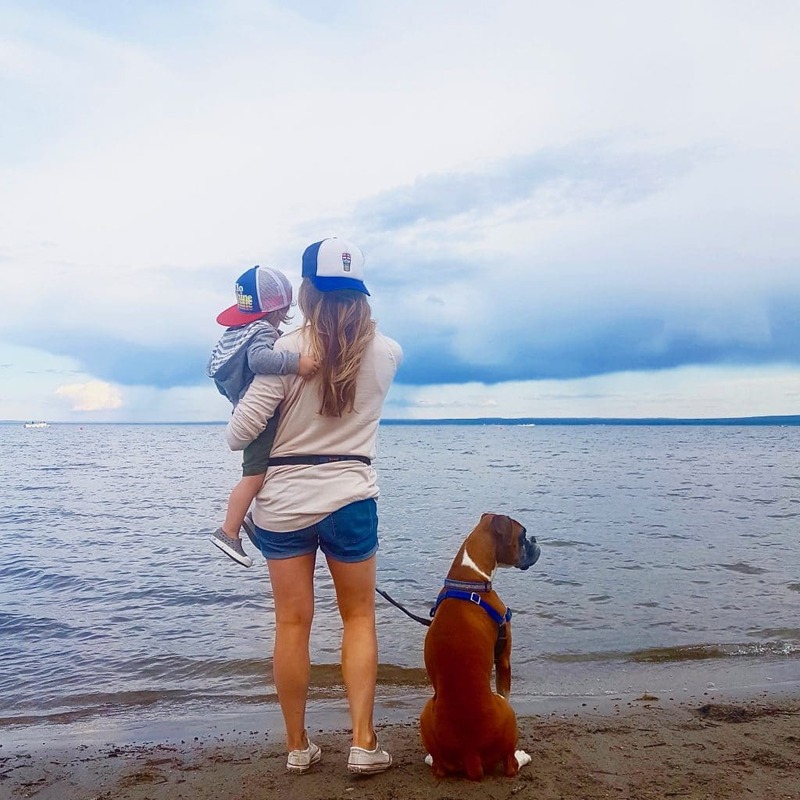 After settling into our campsite at Shaw’s Point Resort on Lesser Slave Lake (a scenic 3.5 hour drive from Edmonton), we pretty much stayed there the entire time. I’m sure you can relate. We put work into planning family vacations, but once they’re over we feel like we still need a vacation! 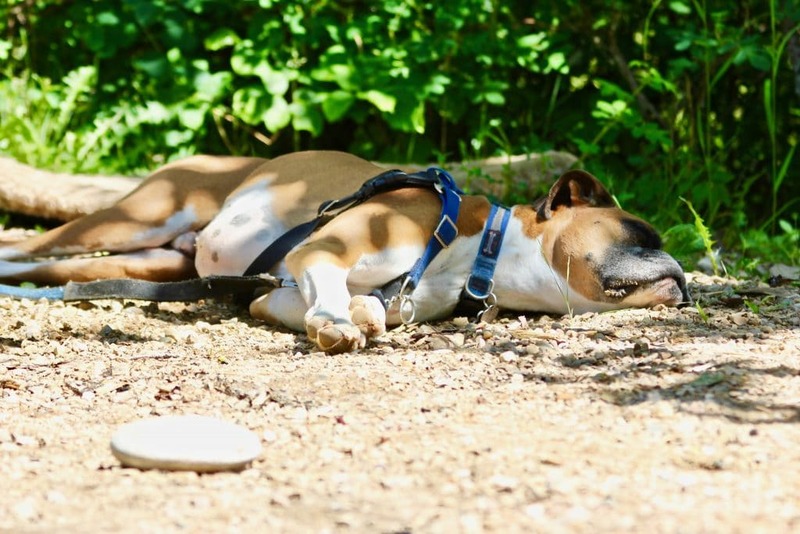 We’re left yearning for that sense of relaxation, and we feel exhausted because we’ve packed so much into the schedule. Don’t get me wrong: sometimes you need to maximize your time, depending on the style of your adventure and how much time you have (That’s what Ryan and I did on our recent trip to Chicago). This time, we felt the need to chill, so we tossed out the itinerary and relaxed. Doing this allowed us to really breathe it all in. 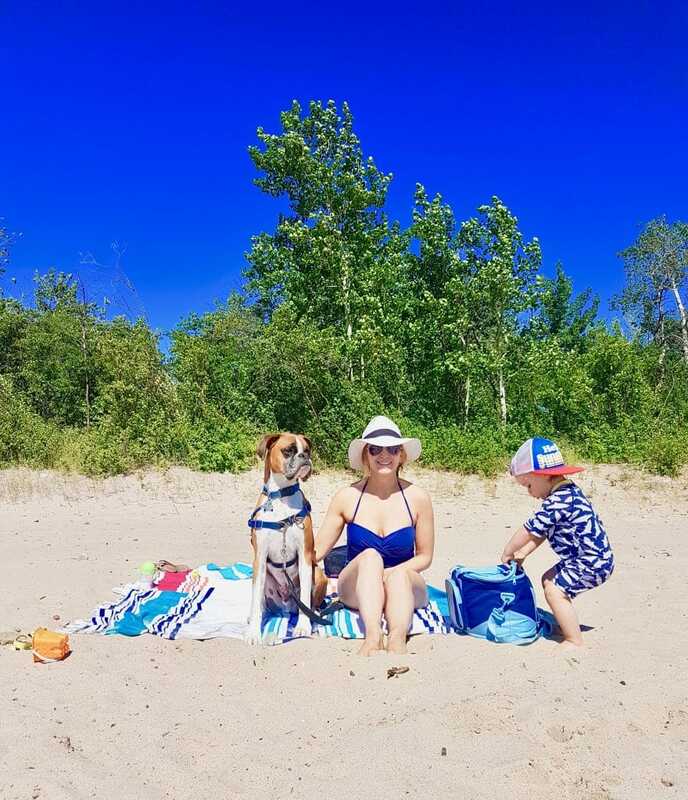 We listened to the waves lapping the lakeshore, and examined the details of the (sparse) clouds in the beautiful blue sky while we layed on the beach and felt every grain of sand run though our toes. 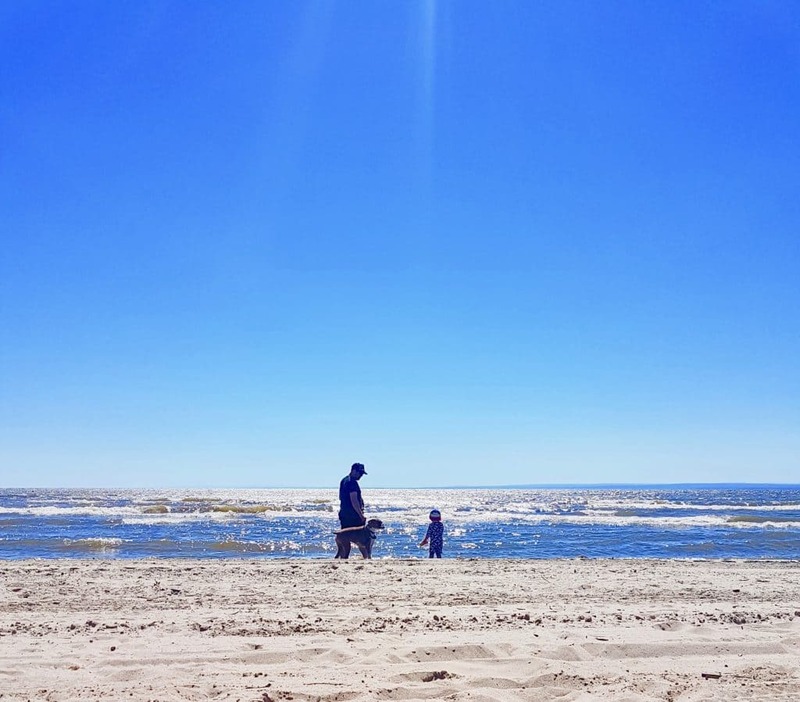 Despite the fact that we have a very busy almost-two-year-old boy and an energetic five-year-old Boxer, we left our weekend with total zen and feeling recharged (especially Moses). 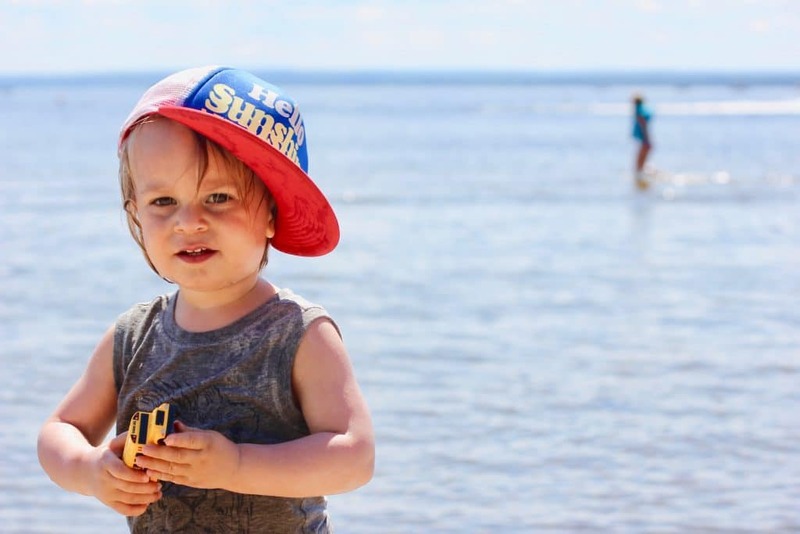 If you have kids who love to camp, Shaw’s Point Resort is your spot. We’re already planning to go back next summer. Even though it’s a huge campground resort, we felt like we were the only ones there. The sites are secluded, tucked away in the trees, accented with beautiful beaches, playgrounds, and a restaurant in the marina (with the BEST curly fries I’ve ever had in my life)! 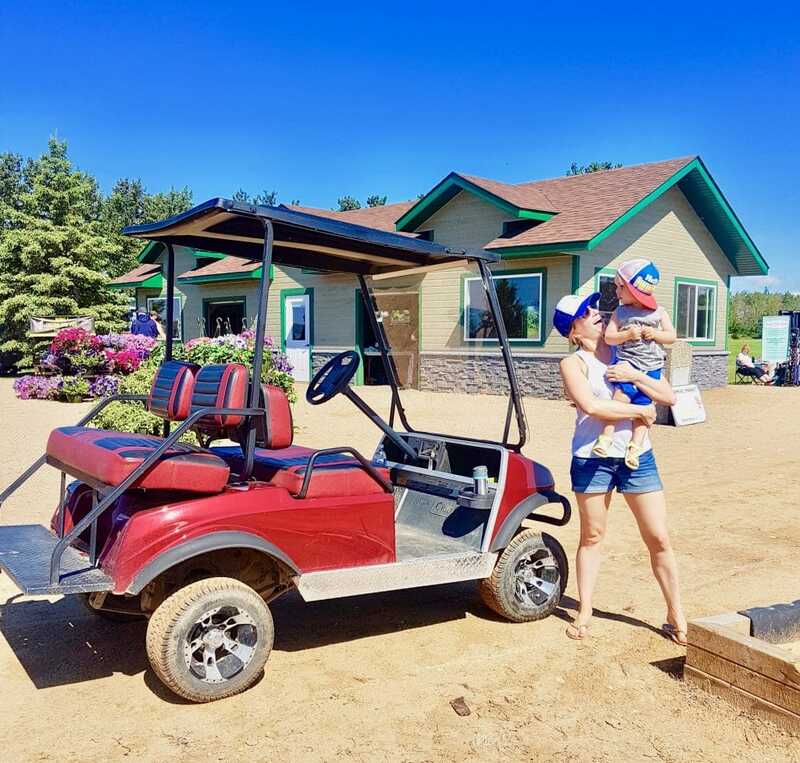 Plus, hiking trails, showers and washroom facilities, an adorable little farmer’s market on Saturdays and a massage therapist on site through the weekend! 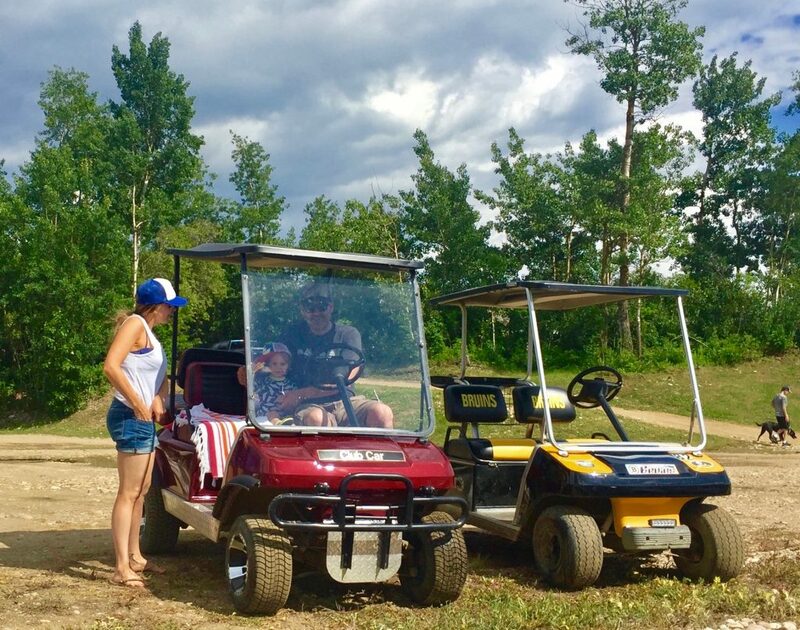 The whole vibe is relaxed – most people get around on golf carts. We spent the majority of our weekend on the beach. With Wyatt fascinated by boats, and Ry and I fascinated by him, we really didn’t need much more than that. 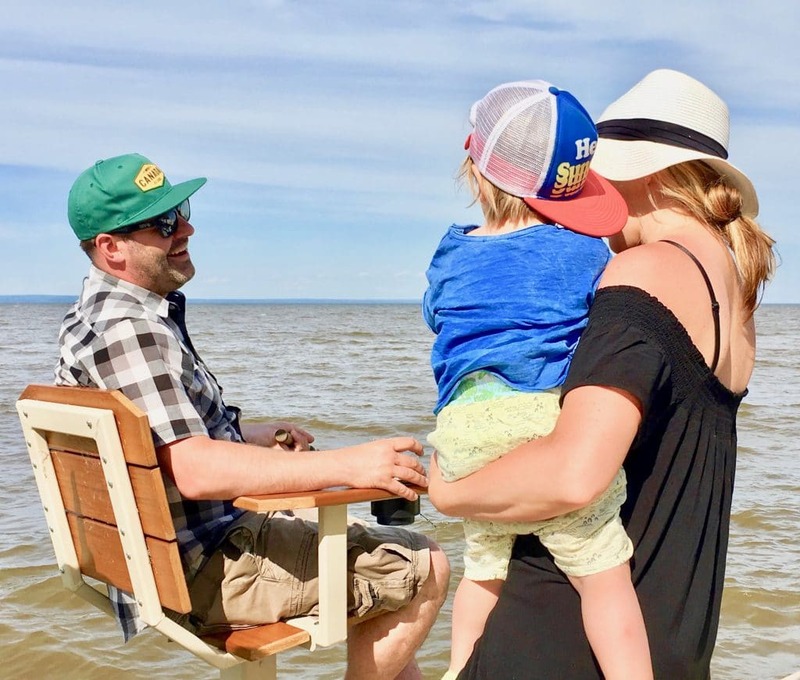 You’ll love the beaches on Lesser Slave Lake. Gorgeous sand and beautiful blue water. It’s almost like you’re somewhere tropical. 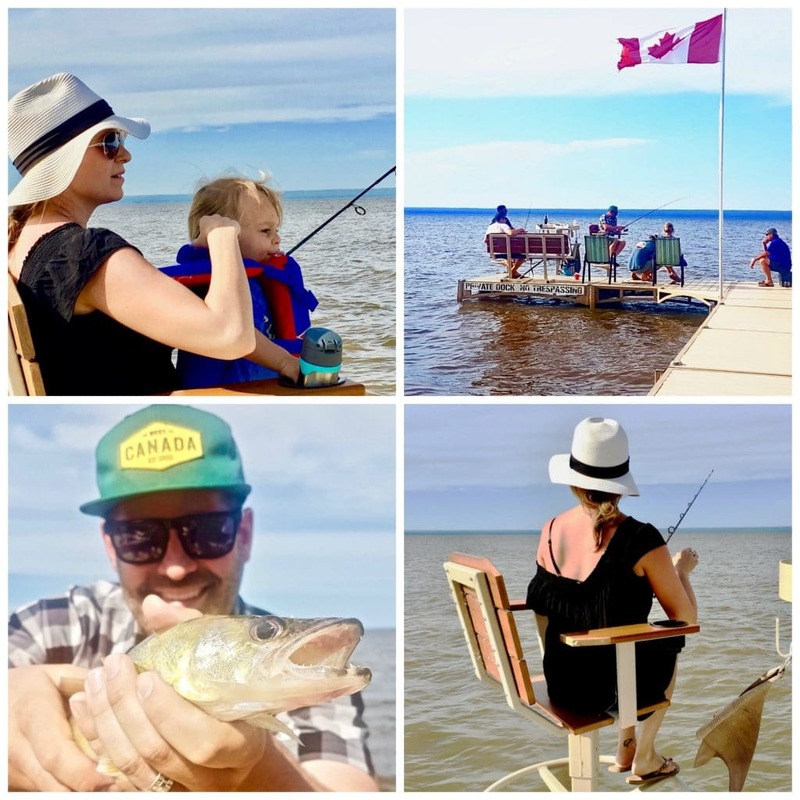 Lesser Slave Lake is such a fishing hot spot! In fact, there’s fishing tournaments on the lake each year and one (The Golden Walleye Classic) has a purse size of $100,000! 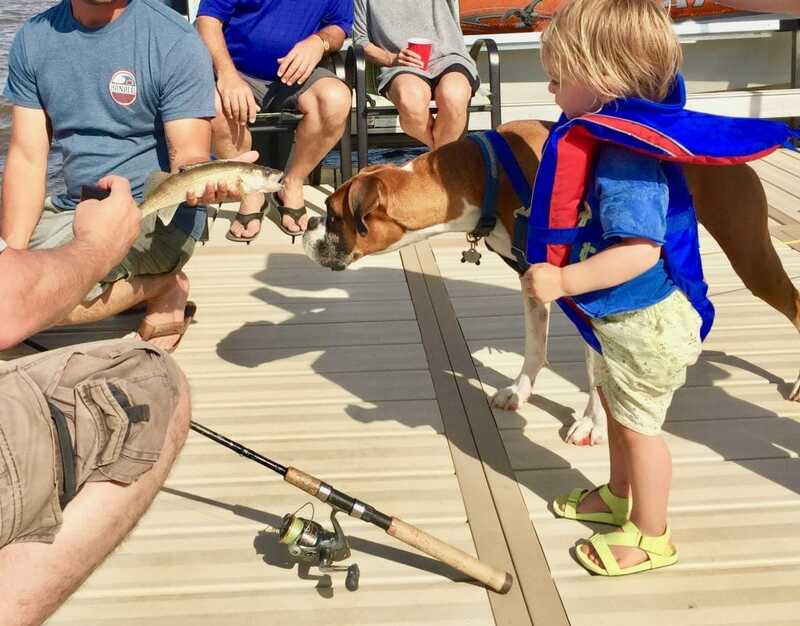 If you’re a more casual fisherman (like we are), expect to land Walleye, Northern Pike, Perch, Whitefish, and Burbot in this lake. We truly loved this weekend as a family. The best part, aside from the stunning views, the one-of-a-kind camping, the extraordinary fishing, and the AH-mazing curly fries, was the people. Our fellow Albertans who call this part of our province “home”. You can tell they cherish it and they’re thrilled to show it off to those (like us) who’ve never had a chance to experience it. It’s their little gem, and now we like to think it’s ours too. 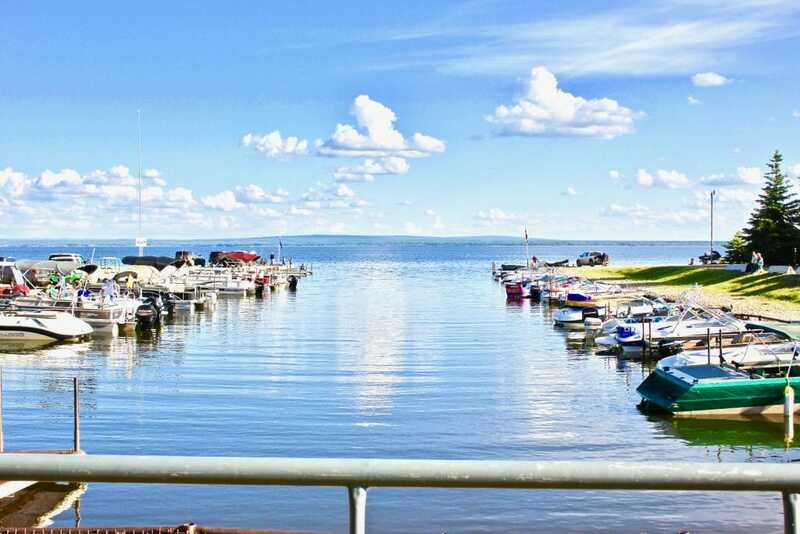 Until next time, Lesser Slave Lake! What an amazing family vacation! 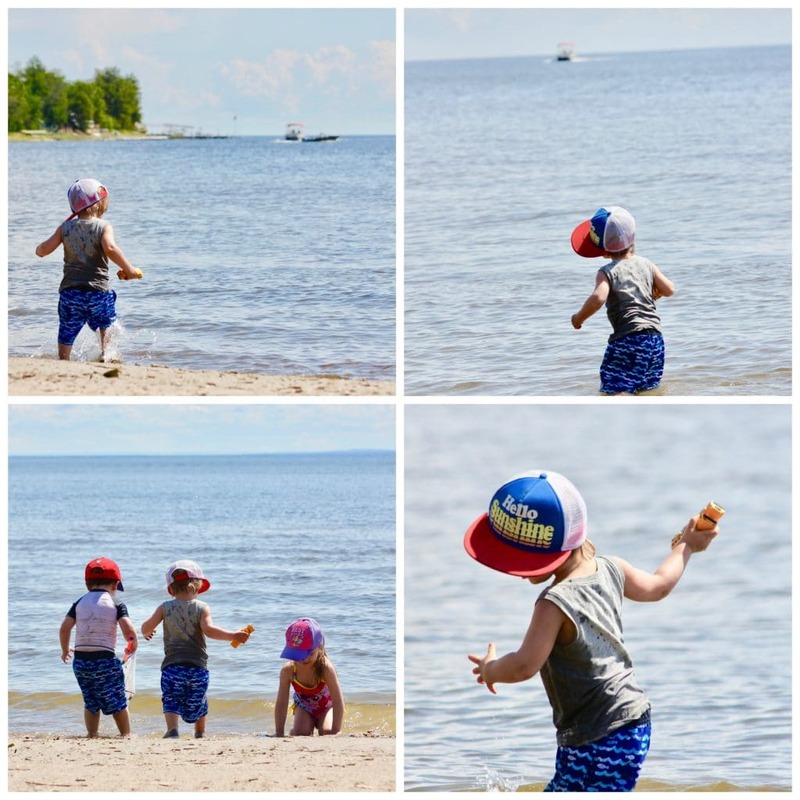 A perfect getaway to make beautiful family memories! Wow! What great pics of a beautiful place! A hidden gem for sure!